One of the greatest thrills of my life was having David Bowie’s face appear as the featured image on a story about me and my involvement in the writing of the book “American Sons: The Untold Story of the Falcon and the Snowman.” It was a cheap thrill, I’ll admit – at best a tenuous link between myself and a guy whose music I had loved as a kid and rediscovered as an adult. But I allowed myself to relish in it, nonetheless. 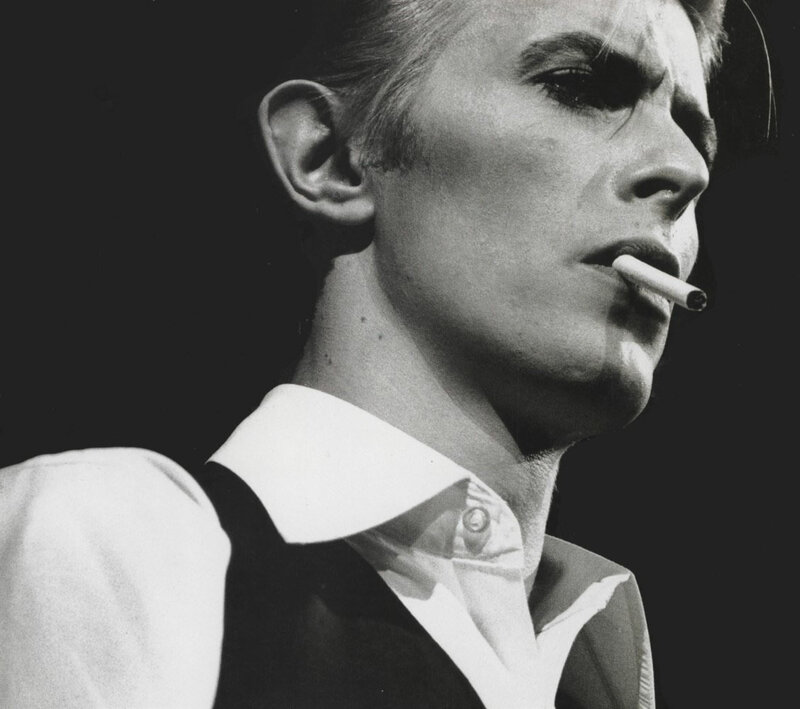 Today, I woke up to the news that David Bowie had passed away – just days after his 69th birthday and the release of his final studio album, “Blackstar.” I wept like I’d lost a family member. For as long as I live, I will always associate Bowie’s voice with my discovery of the story of Christopher Boyce and Andrew Daulton Lee, as told in the 1985 movie “The Falcon and the Snowman.” Bowie’s collaboration with Pat Metheny and Lyle Mays on the song “This is Not America” – the hit single from the soundtrack to the movie – will live forever in my mind as the perfect sonic encapsulation of not just a movie, but of an important era in American history. My adoration of that soundtrack, and of Bowie’s invaluable contribution to it, was the catalyst that led to my crossing paths with Cait Boyce – and ultimately to my part in the telling of an incredible true story in “American Sons.” That Bowie’s comeback album “The Next Day” was released at the very same time the book was being written seemed almost like divine synchronicity – the dovetailing of my youthful fascinations with the present day. For my wife and I, “The Next Day” became the soundtrack to our lives in 2013. David did the singing; I wrote; she opened an art gallery. It was a wonderful year. At this very moment, Bowie’s final album “Blackstar” sits unopened on our kitchen table. It arrived in the mail only yesterday. We had been waiting for the right moment to dim the lights, settle down, and listen. With his passing – and with the revelation that he had been battling cancer during its recording with the intent of delivering his fans a final farewell gift – that first listen is bound to be an excruciating experience. I don’t know if I’m ready for it yet. For me and many others, David Bowie wasn’t just a singer. He wasn’t just a songwriter, and he wasn’t just an actor. He was a symbol; a living representation of my youth. And I think a part of me grew to believe that as long as he was still around and looking beautiful, I’d never grow old myself. Today, the clock ticked loudly forward. It’s a different world now, knowing David Bowie is no longer in it. I’m terribly sad. But I’m also immeasurably grateful for the body of work he left behind, both in music and in movies. And for the knowledge that as long as I still have ears to listen, eyes to see, and fingers to press PLAY, he’ll never be too far away.